I made some several years ago and it might be a good emergency food to keep in a sealed kit as it doesn't seem to go bad easily. It would be good to vacuum seal or can it for real long term use. One will need good teeth if eating it by itself. I've thought about making it, partly for fun and partly to show the kids. totally love this - will be trying it out! I've actually wanted to try it for years; thanks for posting the recipe so I can finally do so! I never thought about making it, but it will be great for your active family on your outings. Interesting post. Have a good day. Never thought about making it, but to be honest, never heard of it either. Oh I've never heard of it. I'd love to try it though! It would be something great to try with the kids. That's different and very interesting! Glad you were able to make them. wat een heel leuk idee zeker als je grote wandelingen gaat maken dan heb je al genoeg gewicht bij je. 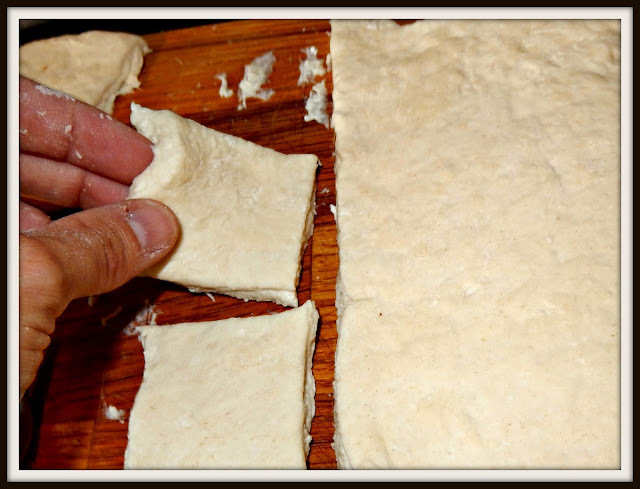 I don't know why, but when I've read about hardtack, usually in a book taking place during the Civil War, I thought it had meat in it. I thought it was like beef jerky. It's neat that it's so easy to make! Having been privledged to sample some of your trial batch, I can say this is outstanding. It was really good, had a sweet flavor and was chewy instead of just being a big soda cracker like all the commercial hard tack and ships bread I've stored away. I'm going to use your recipe to make a bunch and store it in my long term food storage. I've heard the name, but I guess I never really knew what it was. For some reason I thought more along the lines of jerky. Would be a good keep for preppers too, if vacuum-sealed. Glad you tried it for me. I've heard they kept it even after it got weevils in it... extra protein! Oh golly, i love this so much - I'm going to try and place a link in this comment to the Pirate Store - it's a school in San Francisco - that is amazing . . . Your Hard Tack reminded me of them. Even if i wasn't going across an ocean for days (or months) i would enjoy your hard tack . 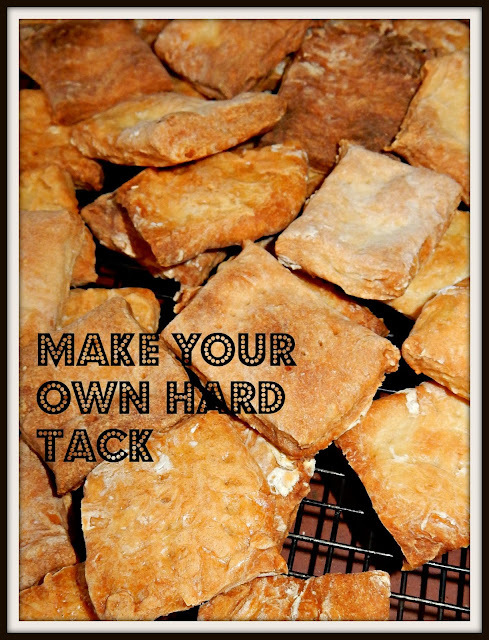 . .
My mom used to call hardtack candy that she made out of sugar water and flavorings. She boiled it until it was a very hard candy. Cool! I'm not familiar with that name, but My Mom used to take left over dough and butter to bake something similar. They often had chopped nuts with syrup inside.